You come across several #hashtags everyday. Do you wonder what are they meant for? Do they really help marketing guys to get high traffic on their social media platforms and websites? If you have these questions then you are at the right place. Hashtags got instant fame when it was first introduced on twitter. It also took no time for marketers to use this powerful tool to reach the right audience within a short time. This gave birth to a new marketing strategy that focused on Hashtag Engine Optimization (HEO). Before we move on to learn what HEO is, let’s first understand the basics. In simple words, it is a word or phrase preceded by ‘#’ hash symbol. A hashtag helps to identify the content related to a topic people are interested in. To help make search in the Twitter easy, Hashtag was born. Due to its popularity, other social media sites like Google+, Facebook, and others adopted and encouraged it readily on their sites. 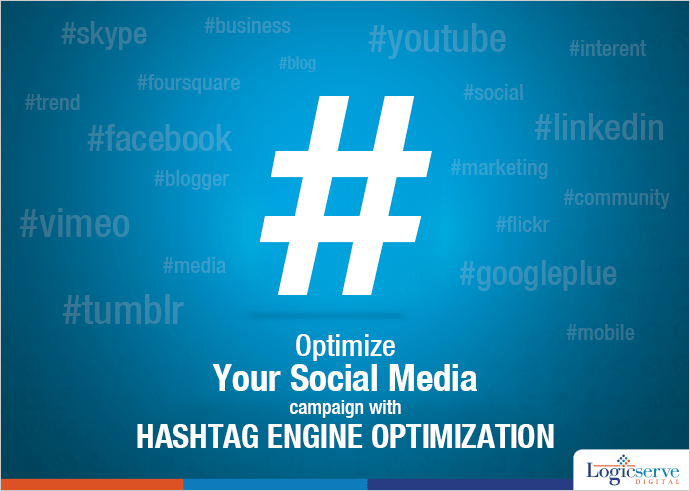 Hashtags allow people to find their desired topics on social media websites effortlessly by simply clicking on them. They hold power to drive huge traffic from social media networking sites to a website. What is Hashtag Engine Optimization (HEO)? To bring in heavy traffic on your social media sites and websites, it is important to optimize your hashtags with the latest trends. Finding the relevant and trending hashtags, creating appropriate content around them, using the right hashtags effectively to get a wider coverage and bringing heavy traffic to social media sites and landing pages is what HEO is all about. Why you should start your HEO right away? There are two important reasons why you should start your HEO right away! Firstly, there is a very low competition as HEO is still at its infancy stage. Second and the most appealing reason is compared to other marketing strategies it gives you immediate results. How to use optimize Hashtags intelligently? Before you start your campaign, you must first understand the keywords relevancy and how it best relates to your brand or product. For instance, you are writing a blog on ‘Top 5 must places to visit in India’ think about the most relevant keywords or phrases that relates to your blog post. Think what your target audience would probably search for when they wish to visit India. 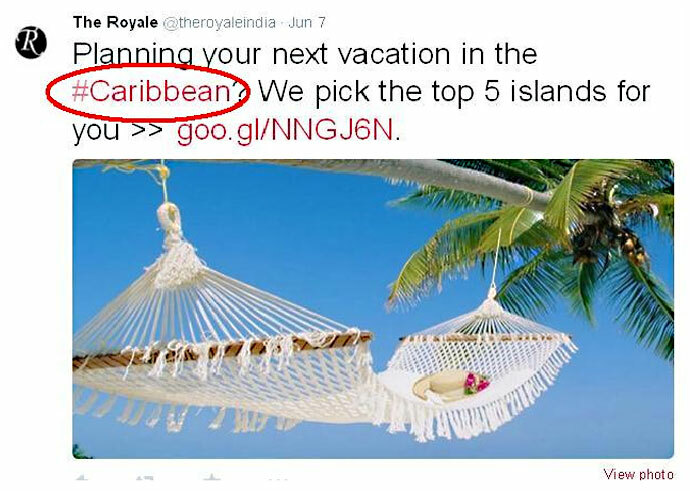 You can use hashtags like #mustvisitindia or #bestofindia or on similar lines. Let’s take an example of an online community called Promocave. It is a place where authors and writers market their books and interact with their favorite authors. 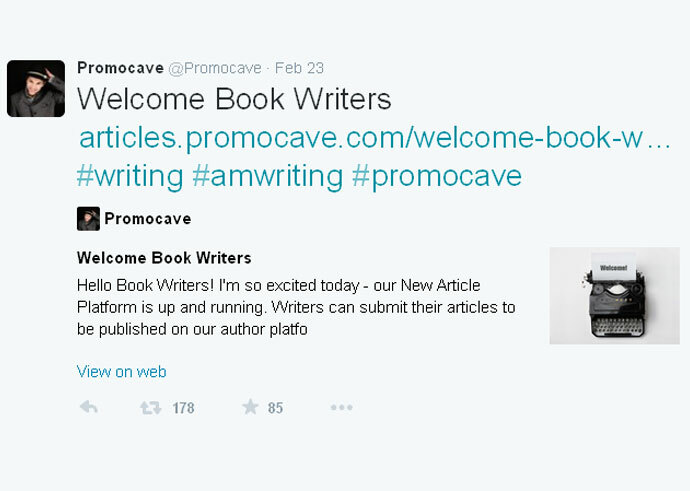 They came with a campaign wherein, if you are a writer or an author of any book, you simply need to follow Promocave on Twitter and simply tweet – ‘Welcome book writers to twitter #amwriting #Promocave’. When you post this tweet, Promocave immediately finds you and starts introducing you to other writers and famous authors, thereby drastically increasing your number of followers! A simple hashtag has a power to bring heavy traffic to your social sites. Where to find popular and relevant topics for hashtags? Now you know how hashtags can help you send your message effectively and hook your audience to the conversations. But, the question is where to find the relevant and trending topics for hashtags? No need to worry. Here are some tools that can help you. Hashtags.org is a free tool that can help you find what is trending over past 24 hours. They also have a paid service that allows you to monitor and store hashtags. What The Trend can help you get twitter related statistics and information. It allows you to see city wise trends, national trends and even global trends. A great place to derive inspiration if you are a blogger! Trendsmap is quite different from other tools mentioned above. It visualizes the hashtags and exhibits them on world map. You can see the current trend by city, country or continent. Make sure you keep the subject relevant and don’t crowd your tweet with too many hashtags making a bad impression. Start your own campaigns by using popular keywords. Get popular keywords ideas from Google Keyword Planner and base your hashtags on them. Also, by following other similar subjects and trends you can get more ideas.